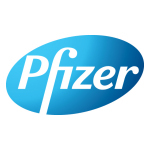 NEW YORK–(BUSINESS WIRE)–Pfizer Inc. invites investors and the general public to listen to a webcast of a discussion with Albert Bourla, Chief Operating Officer, and Mikael Dolsten, President, Worldwide Research and Development, at the 37th Annual J.P. Morgan Healthcare Conference on Monday, January 7, 2019 at 8:30 a.m. Pacific Standard Time. Effective January 1, 2019, Albert Bourla will become Chief Executive Officer. To listen to the webcast, visit our web site at www.pfizer.com/investors.